For over 50 years Polly Burson has been hanging tough in the often dangerous world of film stuntwork. This fabulous lady was one of the most respected and honored stuntwomen in our industry. 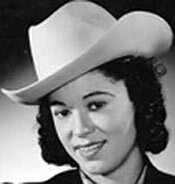 Born Pauline Shelton in Ontario, OR, Polly came from a rodeo family. At 18 she married bull rider/horseback rider/cowboy clown George Mills but divorced six years later. Meanwhile, Polly rode relay and flat races besides being a trick rider. She performed in Madison Square Garden from ‘41-‘44 with Buff Brady and others. After a phenomenal career in rodeo, Polly decided she’d like to try her hand at films. Slow going at first, it took her three years to break in. She was asked by her then husband, stuntman Jerry Gatlin, if she’d like to try a 25 foot high fall off a rock in “The Purple Monster Strikes” serial shooting at Republic. As Polly would later state, “The highest I’d ever fallen was from a horse.” But she accepted the job of doubling actress Mary Moore. Stuntlady Babe DeFreest (who had ridden with Polly’s mother) doubled Linda Stirling as they fell together off the cliff for the conclusion of Chapter 12. Polly vividly remembers the day…April 16, 1945. She was on her way. 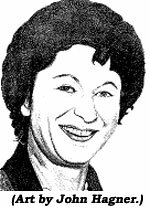 Polly married stuntman Wayne Burson (1920-1997) in ‘45. They divorced in ‘56. The abundance of actresses could not ride, so because of her riding expertise, Polly soon found herself doubling for many ladies (including Dale Evans) being hired for the hundreds of westerns and adventure films Hollywood was grinding out. The stunt profession was still mostly dominated by men. Smaller men usually doubled for female stars, but during the making of “Perils of Pauline” (the somewhat white washed life story of early serial heroine Pearl White) the man doubling Betty was injured and Polly completely replaced him, doing everything required of her. It was her breakthrough film in 1947. While doubling for Paramount’s top star, Betty Hutton, in “The Perils of Pauline”, Polly was called upon to do all the riding for Hutton, including a dangerous transfer to a moving train. What made this stunt even more dangerous was that she had to wear a lifelike mask of Hutton, which severely restricted her visibility. The stunt went off beautifully and is wonderful to watch. Many years later, working on “True Grit” doubling Kim Darby, Polly had to fall in a snake pit in Colorado then finish the shot thousands of miles away on a soundstage at Paramount. Director Henry Hathaway was fond of telling Polly she’d done the longest fall in the business, starting in Colorado and ending in Hollywood. The list of Polly’s film and TV credits reads like a history of greats over the last 50 years: the “Crimson Ghost” serial, “McLintock”, “Northwest Stampede”, “Rodeo”, “Rare Breed”, “Heller in Pink Tights”, “Night Passage”, two Johnny Mack Brown Monograms, “Pillars In the Sky”, “Westward The Women” as well as TV’s “Big Valley” and “High Chaparral”. Polly was finally recognized for her accomplishments and honored with a Golden Boot award in ‘91, presented to her by lifelong friend and fellow stuntman, Henry Wills. In her acceptance speech, Polly stated the picture business had been good to her. She had fun doing it and loved every minute of her exciting career working with the great stars and directors. They made films she said, where they didn’t cuss or take all their clothes off and hop into bed. In my career, I’ve been very fortunate to have worked alongside Polly and it’s one of my fondest memories Polly Burson was as tough as they come, a true pioneer and never less than a lovely lady dedicated to her craft. A credit to her profession. 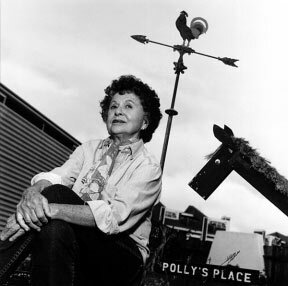 At 86, Polly died April 4, 2006, in a Ventura, CA, hospital.